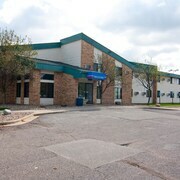 Situated in Lakeville, this motel is within 16 mi (25 km) of Meadows Course at Mystic Lake, Minnesota Zoo, and Mystic Lake. Twin Cities Premium Outlets and Bloomington Ice Gardens are also within 16 mi (25 km). 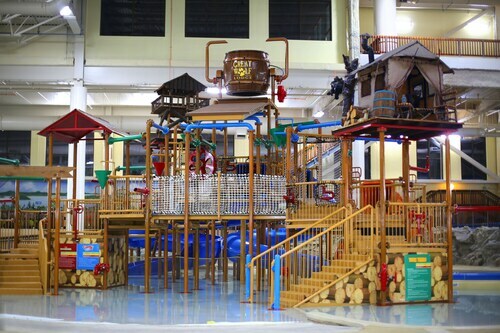 Set in Lakeville, this family-friendly hotel is within 16 mi (25 km) of Meadows Course at Mystic Lake, Minnesota Zoo, and Cascade Bay Waterpark. Mystic Lake and Twin Cities Premium Outlets are also within 16 mi (25 km). 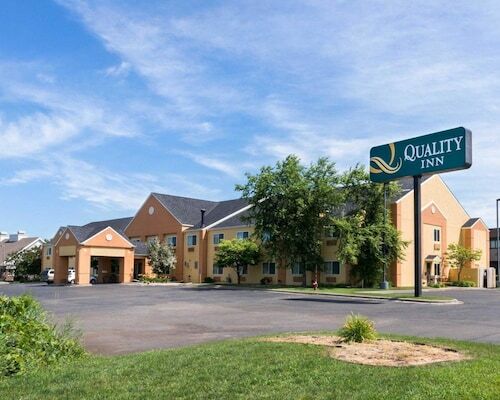 Situated in Lakeville, this hotel is 3 mi (4.8 km) from Crystal Lake Golf Club and within 12 mi (20 km) of Minnesota Zoo and Mystic Lake. Murphy-Hanrahan Park Reserve and Twin Cities Premium Outlets are also within 12 mi (20 km). 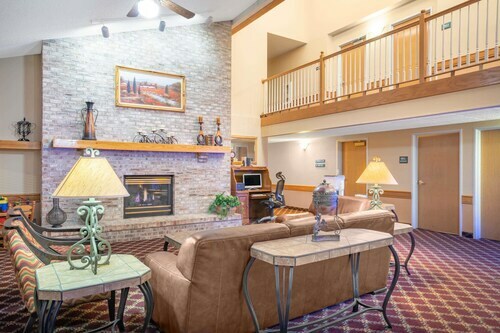 Located in the heart of Lakeville, this hotel is within 16 mi (25 km) of Meadows Course at Mystic Lake, Mystic Lake, and Minnesota Zoo. Twin Cities Premium Outlets and Bloomington Ice Gardens are also within 16 mi (25 km). 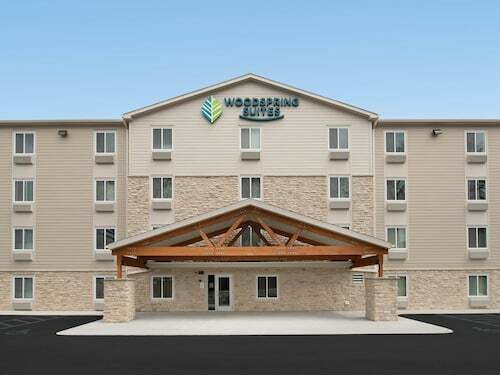 Situated in Lakeville, this hotel is 2.3 mi (3.6 km) from Crystal Lake Golf Club and within 9 mi (15 km) of Minnesota Zoo and Murphy-Hanrahan Park Reserve. Twin Cities Premium Outlets and Bloomington Ice Gardens are also within 12 mi (20 km). 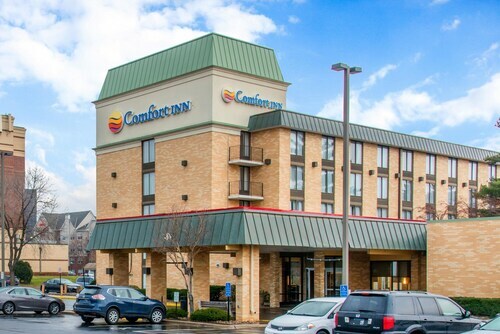 How Much is a Hotel Room in Lakeville? 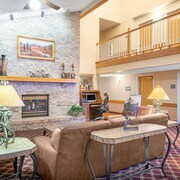 Hotels in Lakeville start at $52 per night. Prices and availability subject to change. Additional terms may apply. Run your fingers over the rough red bricks that compose the buildings on the wide, tree-lined Main Street in Lakeville, Minnesota. 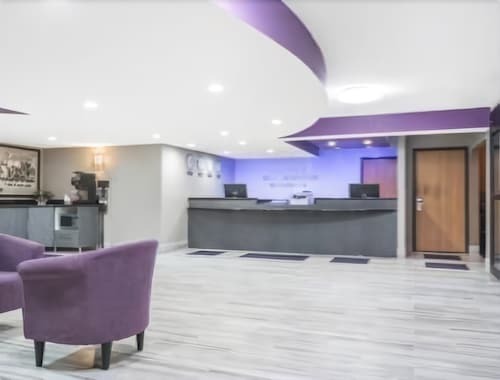 Located on the southern outskirts of Minneapolis, the town’s friendly and relaxing atmosphere is perfectly complemented by this lovely architecture. What else is to be experienced here, curious traveler? Just around the corner from motels in Lakeville, MN, you'll find jumping fish on Lake Marion, crisp fruit at Applewood Orchard, and indie folk bands at the Lakeville Area Arts Center. 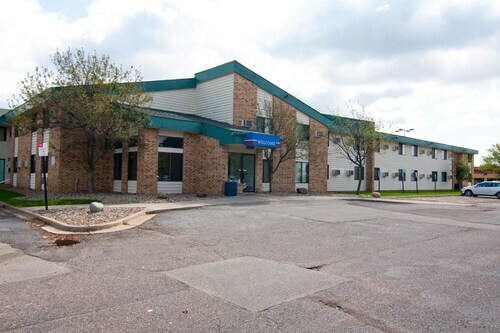 Once you've settled into one of the hotels in Lakeville, MN, head over to Antlers Park on the shores of Lake Marion. Dig your toes into the warm sands of the swimming beach, join a game of volleyball, or sip on iced tea in the cool lake breeze. While you may not hook your own whale, follow Herman Melville’s philosophy of “I try all things, I achieve what I can" and cast your line out for the local northern pike at nearby Casperson Park. Who knows what might surface from the depths? After a long day by the water, Historic Downtown Lakeville and its variety of specialty shops are waiting to show you what hides behind their doors. To taste some of the freshest walleye and wild rice, you might need to journey farther afield. Pick up one of the car rentals in Lakeville, MN and let your stomach lead you to Minneapolis or St. Paul for world-class eateries. Not to worry—there is plenty of time to eat your fill and perhaps tour some major Twin Cities attractions before heading back to Lakeville, MN hotels. Don't just dream about lounging behind a fishing line in Lakeville— start planning your trip today. 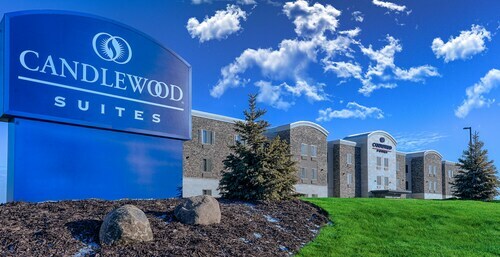 With over 400 airlines and 271,000 hotels worldwide, Travelocity is your go-to source for great deals on everything from flights to Lakeville to hotels in Minneapolis. No elevator. Breakfast was not that appetizing. Safe didn't work.